DryerFlex Is NOT Foil Flex! Rigid venting weighing you down? Got an offset dryer? Looking for a versatile vent hose that won't burn down the house? Don’t worry. Looks can be deceiving. 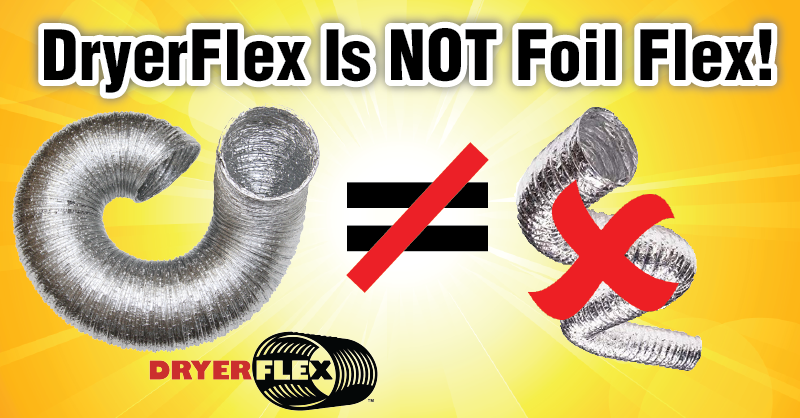 While premium quality DryerFlex does slightly resemble dangerous foil flex, the differences and code compliance are worlds apart. Foil flex is commonly made with light material that is often coated and flammable and can be used for non-dryer applications. However, dryer exhaust systems require special materials to help mitigate a very real fire danger. DryerFlex is UL Listed specifically for the demanding needs of dryer venting. Multiple ribbons of 100% aluminum do give it flexibility similar to foil flex. However, the difference lies in these layers' ability to protect against flame spread, which has been proven by UL. 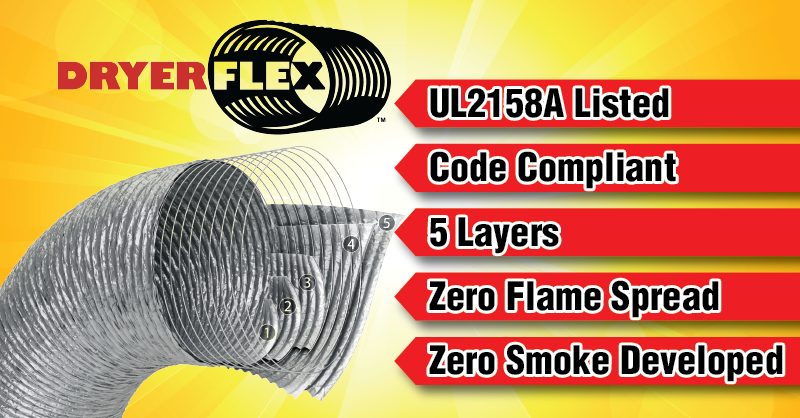 DryerFlex’s UL2158A Listing is required by dryer manufacturers and building code. Visit DryerFlex.com today to find an installer near you!